Kathy A. Barrett, 63, North Webster, passed away at 1:13 a.m. on Thursday, May 17, 2018, at the Kosciusko Community Hospital in Warsaw. She was born Jan. 14, 1955, to Steven and Edythe (Kinkaid) Rusnak in Cleveland, Ohio and moved to Anderson at age 9. She resided in Anderson until 2004 when she moved to North Webster. 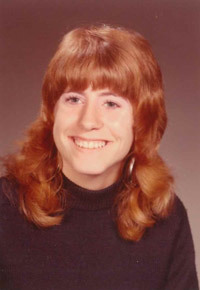 She graduated from Pendleton Heights High School in 1973 where she was a member of the majorettes which was the highlight of her high school years. She retired from Guide Lamp in Anderson after 24 years of service. She was an avid lover of animals and a wonderful mother, grandmother, aunt and friend. She was able to spend her retirement years at her favorite place “THE LAKES.” She was a member of the American Legion Auxiliary Post 253. Kathy Barrett was preceded in death by her parents and a granddaughter: Corianne. She is survived by her partner of 12 years, Jerry Dorgan; a sister: Elizabeth (Duane) Ormes; two daughters: Melissa (Brad) Lierman; Andrea (Cory) Farmer; step-daughters: Tracy Kelly and Miranda (Michelot) Alexandre; Jerry’s children: Josh, Shawn (Alexis) and Mackenzie Dorgan; nieces: Amy Tygrett and Libby (Tom) Reinert; several grandchildren: Julia, Hailey, Chelsey, Christopher; Elijah, Ty, Jazlyn and Penelope; Nick and Pierce; Drazen, Darius, Kyandra and Keyson; Drake and Olivia; Jackson; Ty and Allison Elizabeth; and three great grandchildren. Services will be held at 5:30 p.m., Thursday, May 24, at Owen Family Funeral Home, SR 13 and CR 500N, North Webster.